Every year, individuals and organizations across the county are active in preserving some aspect of Jeffco’s built history. In 2010, JCHC initiated a new tradition of recognizing special contributions to preservation of our valuable historic resources in the county. 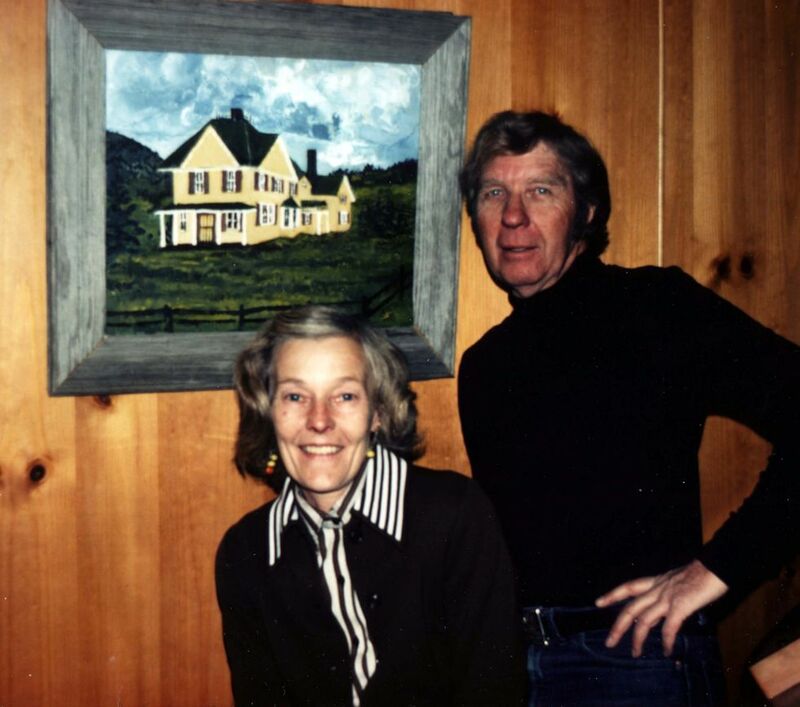 Norm and Ethel Meyer, in times past, with a painting of Midway House near Aspen Park. This award is named in honor of the Norman and Ethel Meyer Family, who were honored as the first recipients, in recognition of their longstanding efforts to preserve evidence and structures from Jefferson County’s ranching history. Their dedication is evident in Meyer Ranch, much of which is now protected as Open Space; their preservation of the Midway House, their home since 1950; Norm’s long service to the Jefferson County Historical Commission; his preservation work on historic toll roads in the Conifer area; and designation of the Lubin-Blakeslee House and Meyer Ranch large barn as county landmarks. 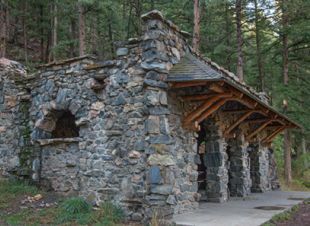 Corwina Shelter, in Corwina Mountain Park, was designed by J.J.B. Benedict. This year, JCHC is pleased to give the Award jointly to Denver Parks and Recreation and the Denver Mountain Parks Foundation (DMPF) for their collaborative work in restoring and improving the Denver Mountain Parks. The best known of these are Genesee Park, Lookout Mountain Park and Red Rocks Park. The joint awardees formed a public/private partnership to improve the Denver Mountain Parks and restore their historic structures. DMPF is a non-profit foundation that raises funds and provides public education to assist Denver in improving the parks; and Denver Parks and Recreation provides professional staff to plan, design and implement the improvements. 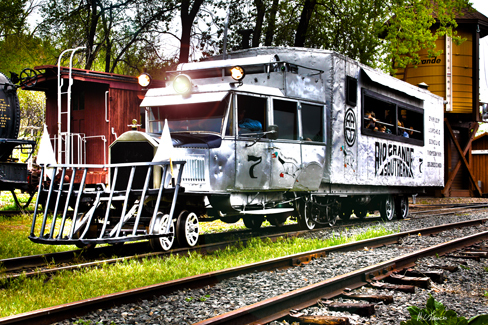 The Galloping Goose is one of many historic “structures” at the Colorado Railroad Museum. The Colorado Railroad Museum was honored for its efforts to structures— in this case, railroad cars—that reflect our heritage. The Railroad Museum opened in 1959 and currently displays more than 100 narrow and standard gauge steam and diesel locomotives, passenger cars, and cabooses on its 15-acre site. The museum itself was designated a Jeffco historic landmark in 2011, and many of its railroad cars are on the National Register. An interpretive kiosk was developed near the mural in downtown Morrison. The Lariat Loop Heritage Alliance was formed in 2000 to promote the natural and cultural heritage along the 40-mile Loop that runs from Golden to the top of Lookout Mountain, continuing to I-70, on to Evergreen, down Bear Creek to Morrison, and back to Golden. In 2009, thanks to the efforts of the Alliance, this route was designated a National Scenic Byway. This partnership of heritage organizations includes museums, parks, businesses, and chambers of commerce. 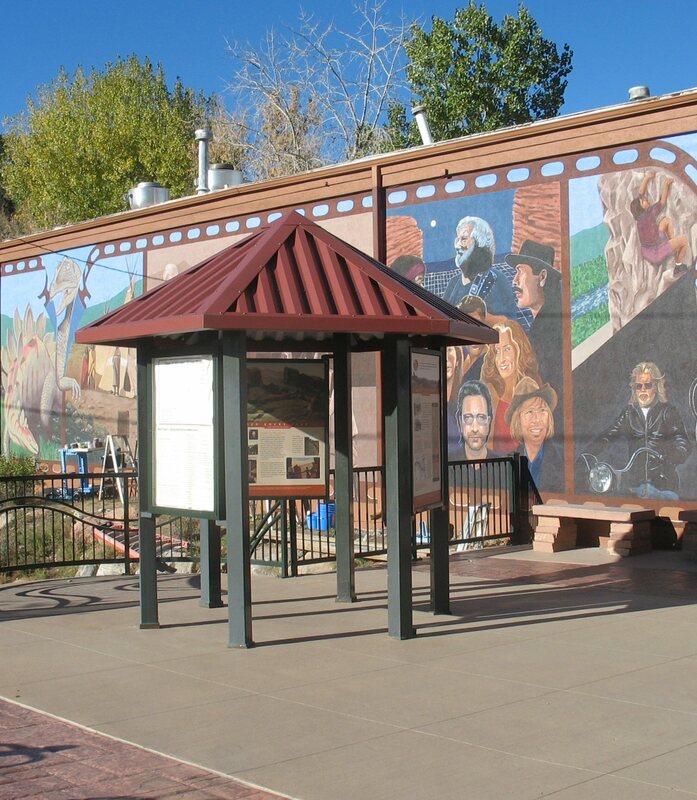 Interpretive kiosks have been installed at Beverly Heights (Golden), downtown Morrison, downtown Evergreen, and the Buffalo Bill Museum. Two more sites are under development. 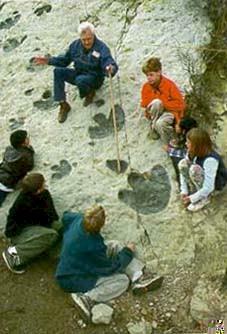 Longtime volunteer T Caneer teaches kids about dinosaur tracks. For 25 years and more of preservation work on Jeffco’s prehistoric resources at Dinosaur Ridge and Triceratops Trail, as well as an outstanding record of public education and interpretation. The Friends, with a corps of dedicated volunteers and a handful of staff members, manage programs and tours at two visitor centers and now host 100,000 visitors a year. 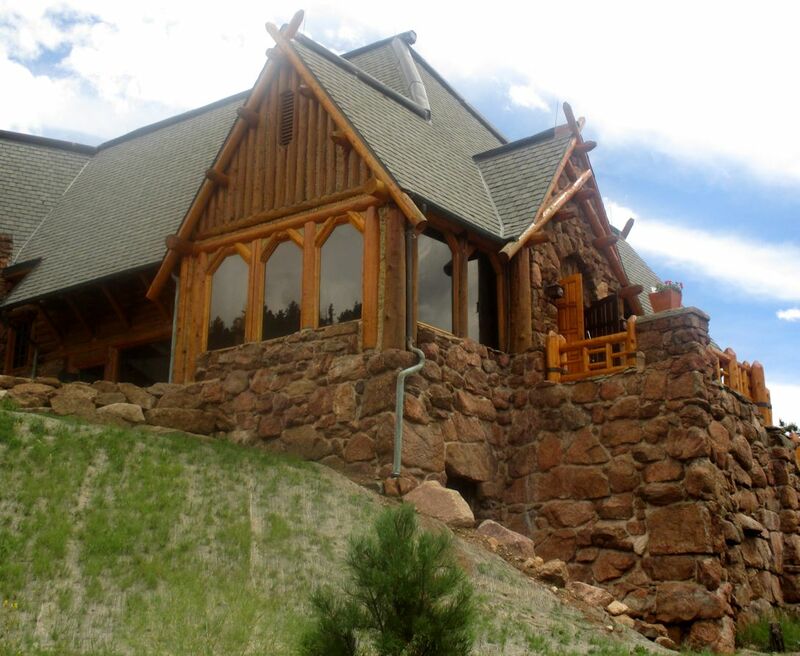 Baehrden Lodge opened to the public for tours in July 2013. For stewardship of more than 52,000 acres, much of which includes historic ranch lands; restoration and management of historic structures including Hiwan Homestead, Boettcher Mansion, and Baehrden Lodge, maintaining their public use as assets to the regional community. In 2012, JCOS celebrated its 40th anniversary in land preservation. 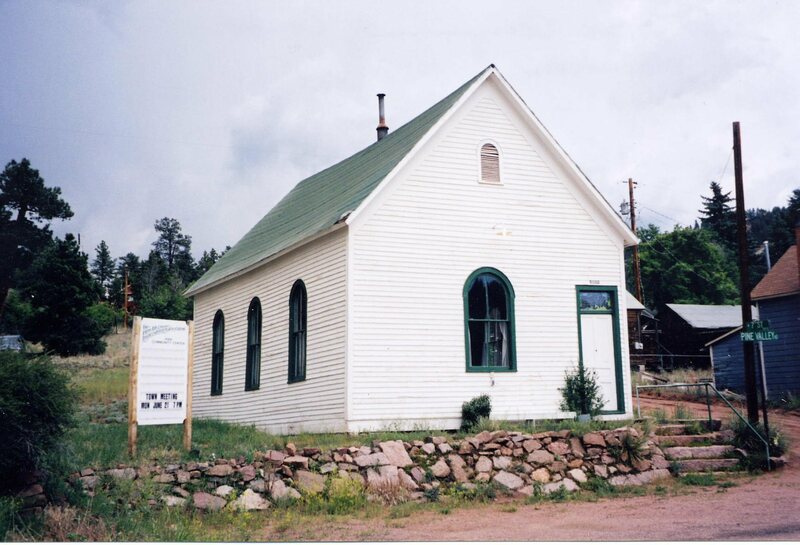 The Pine Grove Community Center is owned and was restored by PECIA. For restoration and stewardship of the Pine Grove Methodist Church (now the Pine Grove Community Center), designation of six county landmarks in the community, establishing and updating the North Fork Historic District, and spearheading the formal return of the historic name “Pine Grove.” PECIA has been active in the Pine Grove area since 1947, creating a strong community presence through the annual Rhubarb Festival and, in recent years, sponsoring historic tours for elementary school students. 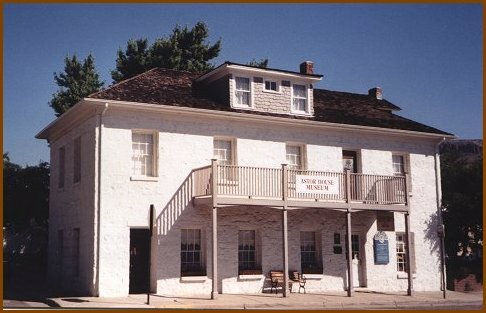 Astor House Museum, now part of Golden History Museums. For saving the Astor House from demolition in 1971; working to achieve national register designation for five historic buildings and three historic districts; saving other area landmarks, some now part of Clear Creek History Park; and saving and restoring the Brickyard House. GLA is one of the oldest non-profit historic preservation organizations in Colorado. For inspiring this award through their efforts to preserve family ranch structures and historic sites throughout Conifer. See also above list.